If you’ve seen recent Street Fighter V footage from E3 you’ve probably noticed something a little different about Chun Li. People are remarking that because Chun Li’s breasts act as if they were made out of jello, Street Fighter has gone “full Dead or Alive” in the upcoming sequel. This is not actually the case, though! Fighting game commentator James Chen reports that Chun Li’s absurd breast physics are actually a bug. Capcom associate producer Peter Rosas confirmed this peculiar hiccup to me this morning. “The whole Chun-Li jiggle thing is a glitch that only happens on the second player side of the E3 build and it will be fixed,” Rosas said. And there you have it. 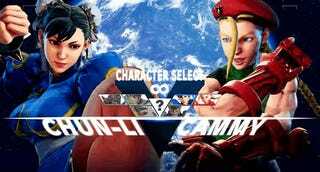 Chun Li’s breasts are not getting a gravitational pull makeover. If nothing else, this is a good reminder that the games shown off during E3 are not always finished, and unfinished builds sometimes have issues that won’t be present in the final game.